"The focus on two languages doesn't offer enough depth." If you are planning a trip to Japan or China, then you may not want to invest in a full language course for both countries. One good alternative is Berlitz's Chinese & Japanese Premier language learning. If you choose to purchase this package you receive a multimedia learning course in both of these Asian languages. 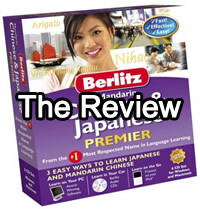 In this review I will look at Berlitz Chinese & Japanese premier in detail. I will explain its key features and some of the reasons why you may want to purchase this course. Next I will point out some of the serious limitations of this course. You will want to read this section carefully before you decide to invest your money in this language program. Finally I will give my overall recommendation for Berlitz Chinese & Japanese premier and explain who I think will most benefit from this course. Computer Software - This is the main Chinese & Japanese course. Using the course you will learn Japanese and Chinese using a number of different activities. Included is Berlitz's flash card system, multimedia video learning, conversational practice and listening activities. There are versions for both the Mac and the PC. Audio CDs - The course also comes with 2 audio CDs, with one each for Japanese and Chinese. You can use these CDs to practice your language learning while driving your car or on your stereo at home. The files can also be copied to your MP3 or iPod player. iPod exercises - These iPod exercises are designed to allow you to improve your Japanese or Chinese when you are away from your computer. Flash cards are also included, that you can use on a Palm or PocketPC. Berlitz Chinese & Japanese Premier costs $39.95. This includes a six month guarantee, which allows you to return the product for any reason during this period. Instruction on how to return the product are provided inside of the box. Great for mobile learning - One of the best features of Chinese & Japanese Premier is that it is perfect for mobile learning. The iPod features, allow you to practice word lists on either your iPod or other MP3 player. In addition the is flash card software for your Palm or PocketPC. The audio CDs can be used in your car, or they can be copied to your Mp3 player. Altogether this provides for a lot of opportunities to practice the language while you are on the go. Good range of games - Berlitz Chinese & Japanese Premier features a nice range of games including crosswords and plug & play. These make learning more enjoyable and will make this course more appealing to children. Excellent value for money - With Chinese & Japanese premier you are getting access to both a Japanese and Chinese course for less than $40. If you are planning a trip which takes you through both Japan and China, being able to speak key phrases in both languages may be useful. It may also be helpful if you are unsure which of the two languages you wish to study. By getting the two in one package, you can decide which you prefer, before you invest too much money. Dialogue can be slowed down - Spoken Japanese and Chinese can be difficult for the foreign ear to decipher. Thankfully Berlitz Chinese & Japanese Premier gives you the opportunity to slow down any spoken dialogue. This allows you to clearly hear the correct pronunciation of words and phrases. 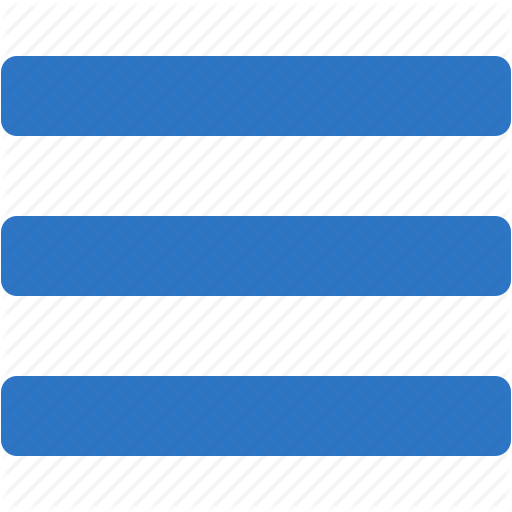 Travel orientated - The conversational scenarios are centered on common travel situations, such as dealing with waiters and hotel staff. This makes it a great product for people who are travelling to China and / or Japan, and want to know the basic expressions which will make their trip easier and more enjoyable. No Japanese characters - One of the biggest problems with the product, is the lack of Japanese characters. The course uses Romaji, which is the English version of Japanese, rather than teaching Kanji, Hiragana and Katakana. Learning these characters is an important part of being able to conduct yourself in Japanese and so this is major downside to the course. Possibly the reason that these have not been included is because of the difficulty that they pose, which can be a barrier to getting started learning with Japanese. But having these as an additional study unit would be a welcome improvement. Installation Issues - In order to run Chinese & Japanese Premier you need to have either Windows XP, Vista, 7 or 8. Unfortunately a number of customers have reported installation issues with the software, reporting that they have had problems installing it on Windows Vista and Windows 7. Speech analysis has problems - The speech analysis tool is at first glance a great idea. It allows you to record your voice and then to see what improvements you need to make. Unfortunately the speech analysis does not work particularly well and fails to provide a very accurate reading of your accent. No clear reason to combine Chinese and Japanese - There is no clear reason why Japanese and Chinese should be combined into a single product. As any student of either language knows, learning just one is a challenge. The market for people who will be actively trying to master both would appear to be small. It may have been better to concentrate on developing a better course which focused only on a single language, rather than on both at the same time. Berlitz Chinese & Japanese Premier is overall a good quality course, built on solid language teaching principles. However it does have its limitations. By focusing on two separate languages, it doesn't offer proper depth in either. The lack of Japanese characters is also a serious limitation for people interested in the written language. For travellers to Japan, or people who want to gain a feel for these two languages, Berlitz Chinese & Japanese Premier is ideal. While you are not going to gain conversational fluency by using this program, you can gain a solid grounding in the basics, so that you are able to conduct yourself in Japan or China. Feel free to check out my comparison.